WASHINGTON — The Turkish opposition, flattened by the incumbent and ruling Islamist party, lost an attempt to have an electoral re-run in the capital city of Ankara. Reuters reported that the Turkish opposition lost the nationwide election race, but was trying to get the Turkish courts to reconsider the electoral count in the Ankara race. They said there were too many irregularities in the vote counts. The Turkish High Election Board denied this appeal by the opposition Republican People’s Party (known as CHP), which essentially closes the case. They could appeal, but it is likely they would be rejected again. The mayor’s race in Ankara was won by an Erdogan party candidate, Melih Gokcek, 44.6% to 43.8% (which was earned by the opposition’s candidate Mansur Yavas). 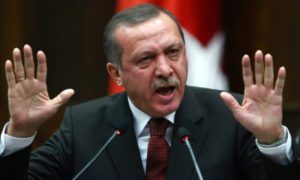 Prime Minister Tayyip Erdogan, who was under a cloud of scrutiny after a corruption probe took down many of his allies, emerged victorious after the results came in across the country. Unofficially, Erdogan’s party won the country by a 45% to 28% vote. The main opposition party CHP only garnered the 28% and the rest of the vote was spread among other parties.